Woodlands Farm, formerly known as ‘Town End Farm’ is in the small hamlet of Thimbleby on the edge of the beautiful North York Moors National Park in Yorkshire. We are just over a mile from the popular walkers village of Osmotherley on the well known Cleveland Way and The Lyke Wake walk. Woodlands Farm was originally a sheep farm, farming well over 200 acres of land until the early 1980’s. It is a Grade II listed farmhouse which dates back to the very start of the 19th century, but has since been extended and modernised. Since the 1980’s the farm has been used for various equestrian related enterprises, including a riding school and an eventing yard. Paul and Amy Callin are the owner’s of Woodlands Farm. 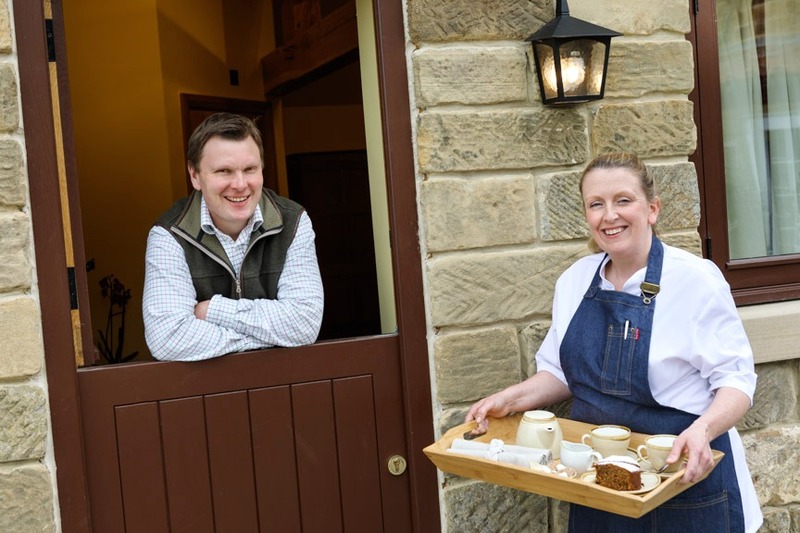 Since moving to the property Amy and Paul have made extensive renovation and maintenance work and opened the business in 2014 with The Middleton, a self-contained annexe to the main farmhouse offering self catering accommodation (AA 5 star rated). In spring 2017, after sympathetically converting a stable and rebuilding an outbuilding, we now offer guests a choice of accommodation to suit their individual needs as well as the ability to cater for group bookings. 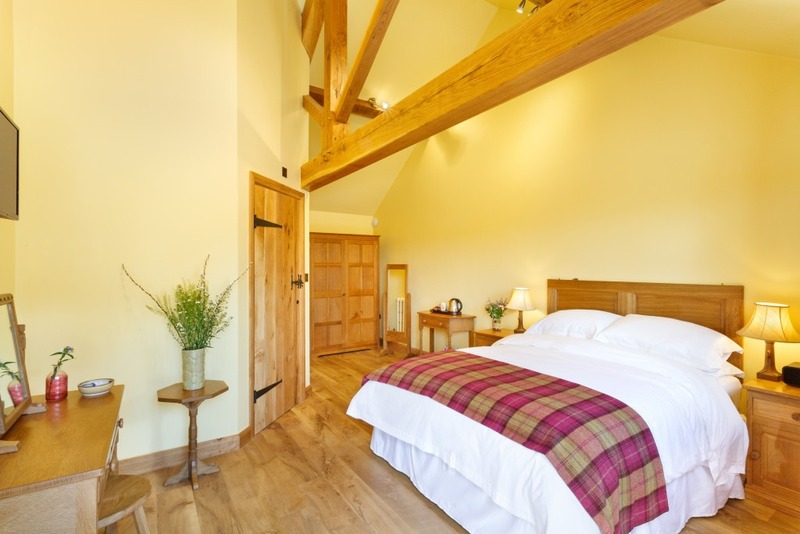 The Bedale and The Hurworth are spacious en-suite double bedrooms with vaulted ceilings and oak trusses. The Ainsty is a Suite offering more space and flexibility with a hand crafted oak kitchenette and an en-suite wet room. 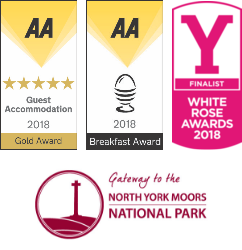 In May 2018, we were awarded 5 Gold Stars by the AA for Guest Accommodation and their prestigious Breakfast Award. We are a proud supporter of local businesses and all the oak furniture has been crafted locally and made by Beaver Furniture and Robert Thompsons Craftsmen (“Mouseman”) who are both based in villages just outside Thirsk, not far from us. Woodlands Farm is an ideal place for relaxing or taking a more energetic break. There are two footpaths just across the road from us which lead onto the Moors and offer incredible scenery and ideal terrain for mountain biking, cycling and walking. 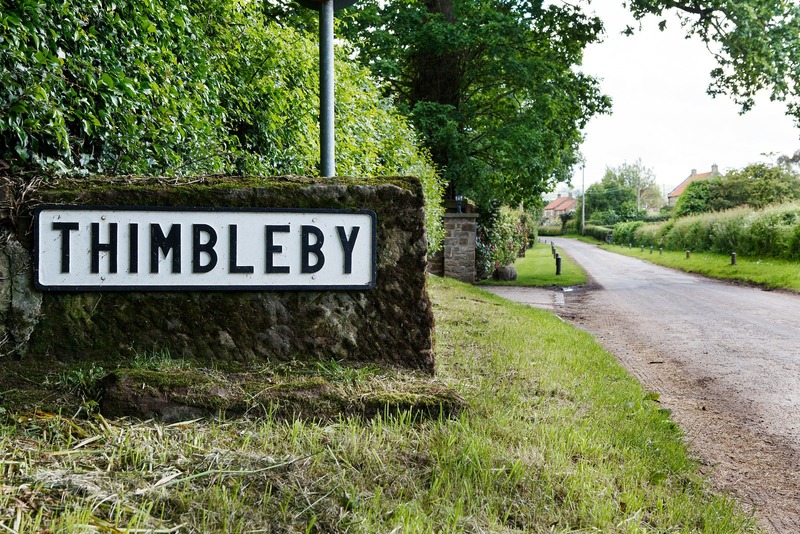 We are only a few miles from the A19, so we are an ideal location for discovering Yorkshire such as the World of James Herriot in Thirsk, the historic City of York or enjoying fish and chips at one of the seaside towns along the Yorkshire Coast. In Osmotherley, there are three traditional English pubs to enjoy – all of which serve food. We are fully licensed and stock a range of wines and champagnes we have personally selected, including quality English Wines from the Bolney Wine Estate and Nyetimber – which are perfect if you want to enjoy a glass whilst watching the sunset or star gazing in our dark skies. We are a family business and Paul and Amy run the B&B with the occasional ‘help’ from their two young daughters Bella and Chloe. All our guests receive a warm welcome and are served complimentary afternoon tea of homemade cake, Yorkshire Tea or coffee during check-in. We look forward to welcoming you to Woodlands Farm soon.